FREE Tickets to the New York Islanders on November 2! Who doesn’t love to catch a professional sporting event, especially when its FREE and for a good cause. Blood is an essential component for patient care in area hospitals, and the only source of blood is from a healthy, volunteer donor. Come out, roll up your sleeve and help save lives at the American Red Cross – New York Islanders Blood Drive on Saturday, Nov. 2, at Nassau Coliseum from 9 AM- 3 PM. Walk-ins are welcome, or to schedule an appointment to donate call 1-800-RED CROSS or visit redcrossblood.org Reference sponsor code ISLANDERS. As a special thank you, all presenting donors will receive a voucher for two (2) tickets to an Islanders home game during the 2013-14 regular season. 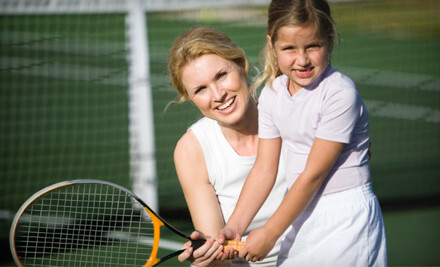 Three Children’s or Adult Tennis Classes at Tennis Innovators (Up to 61% Off). Three Options Available. Most sports grow out of a simple formula: ball plus stick, ball plus kick, or car plus explosion. Get action-packed instant replays with this Groupon. During junior QuickStart classes, instructors engage youngsters with entertaining drills, boosting coordination and teaching basic swing patterns that encourage an early passion for the sport. They focus on steadily building game techniques on a full-size court for junior extreme tennis sessions. Adult group classes set up game-play scenarios and hone strokes for students of all skill levels, and cardio classes incorporate an energized warm-up and fast-paced competitions. Having accrued 15 years of teaching experience, the staff members at Tennis Innovators prioritize exciting instruction over barraging students with volley after volley. They appreciate the challenge of holding a child’s interest and create fun drills for junior pupils, who can begin to learn racket-swinging techniques as early as age 4. The QuickStart program acts as an intriguing introduction to the sport for adolescents and works on improving their coordination both on and off the court. In fact, they don’t require a court to host their afterschool programs and will adapt lessons to fit any suitable space, such as a playground or the least occupied patch of an in-use baseball diamond. Classes aren’t just for children—the staff hosts adult sessions aimed at improving overall game play and fitness in a supportive environment for fully formed humans of all skill levels. Staffers also lend their management expertise to neighborhood tennis clubs, providing guidance for hiring and training processes, court maintenance, and marketing. Martial artists continually develop their physical strength and mental focus, allowing them to meditate for hours and paint a portrait simply by punching a used palette. Hone accuracy and artistry with this Groupon. Between 20 and 50 people gather for each class to learn both the mental and physical aspects of tae kwon do from certified masters and instructors. Students practice comprehensive striking techniques with both fists and feet, as well as throws and joint locks useful for overwhelming a larger opponent. Bodies hop, leap, and roll across mats in jumping and dodging exercises, and wood and metal flash in the air as advanced students practice weapon techniques that are useful in case cities replace their small-claims courts with gladiatorial arenas. The more than a dozen brick-and-mortar locations that make up Ultimate Champions Taekwondo Association share not only a style of combat, but a teaching philosophy as well. Tracing the lineage of their combative art back to Grandmaster Sang K. Oh, the instructors adhere to his teachings, exemplified by the quote, “The person who can defeat others with flashy techniques but is without love toward his fellow man will in the end defeat himself.” Students use the physical empowerment of mastering jumps, kicks, and weapons to arm themselves with discipline, confidence, concentration, self-respect, and courtesy for others. Outside of the classroom, the organization reaches out to the tri-state community with ample demonstrations of some of their most exciting techniques. Practitioners soar skyward in flying kicks or fill the air with the whirring blows of nunchakus, bos, and kamas. Fists slam through boards, balloons, and bricks to demonstrate the striking power of tae kwon do and the structural flaws in the Three Little Pigs’ panic room. Kayakers, unlike pancakes or depressed turtles, muster the will to get themselves upright when flipped upside down. Float through life with this Groupon. $69 for a 90-minute standup paddleboarding tour for two (up to a $158 value) During tours, guides take groups of kayakers and paddleboarders on a 90-minute journey across Accabonac Harbor’s tranquil waters. 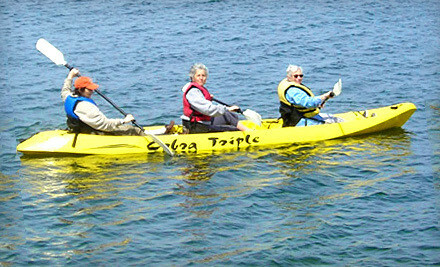 Along the way, they point out sights and instruct on proper paddling technique. Rentals let customers design their own outing, such as floating along harbor beaches or biking through Hither Hills’ trails. Sandy beaches, eye-catching architecture, and the Montauk Point Lighthouse await groups on Amagansett Beach & Bicycle Company’s tours. On these excursions, skilled guides fuse the chance to view breathtaking sights with instruction on bikes and various watercrafts, including kayaks, standup paddleboards, and saddled leviathans. Back on land, staff members tune up gear and help customers scour through a sea of water- and land-based sports equipment. Everything from BMX bikes to tandem bikes take patrons on rolling adventures through the verdant Hither Hills. Although only a small portion of Amagansett Beach & Bicycle Company’s business, watersport equipment such as wakeboards and tubes beckon customers to speed and bounce over harbor waters, while skateboards let adrenaline junkies stand motionless on moving treadmills. Bowling-alley lanes are covered in a thin layer of oil, facilitating a smooth trip for the ball and hilarious pratfalls for would-be pin burglars. 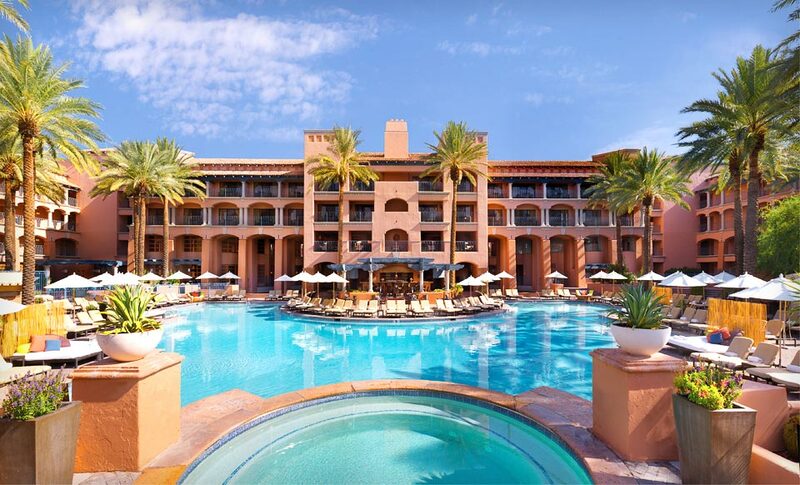 Engage in slippery sport with this Groupon. Inside Whitestone Lanes, patrons engage in a never-ending pin barrage with bowling accommodations available 24 hours a day, seven days a week. Forty-eight lanes span the facility, providing ample room for groups to bowl comfortably while serious strikers concentrate on gutter-hugging curves. Large, flat-screen televisions display scores and endearments for trusty spheres high above each lane, and a full café, bar, and lounge area keeps pin snipers stocked with hearty concessions and fast refreshments. The alley also provides league opportunities for children, seniors, and adults, and hosts birthday parties complete with refreshments and gifts. 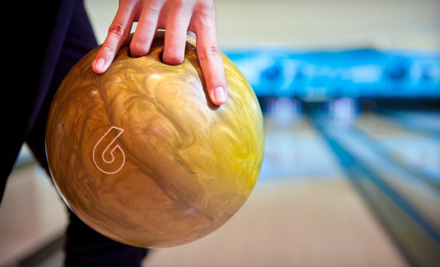 In addition, an on-site pro shop offers a variety of bowling necessities and services including ball repair. Playtime gives children a welcome respite from the daily grind of selling life insurance to their action figures. Help your little nine-to-fivers let their hair down with this Groupon. Group fencing classes allow adults, teens, and children to build coordination and self-confidence in a fun setting. See the full schedule. At Sheridan Fencing Academy, coach Jason Sheridan incorporates a thorough understanding of sports science into fencing instruction for all ages. Each 20-student class session improves student fitness, also focusing on the fun aspects of fencing to keep students mentally engaged. Sheridan encourages students to set competitive goals, and dedicates himself to assisting in their pursuits. Current students include 2012 Junior Olympic champion Adrienne Jarocki, who was featured in the New York Times for her rapid success with Sheridan and her aspiration to compete in the 2016 Olympic Games. The coach instructs adults and children as young as 4 years old, utilizing games and plastic swords to safely develop motor skills and the ability to conduct impromptu orchestras. Fencing (the sport) is similar to fencing (the DIY project) because mastery of either will keep dogs off your lawn and prevent neighbors from bothering you. Study protective maneuvers with this Groupon. Groups of up to eight students aged 9 and older learn the basic tenets of swordplay and sportsmanship during 60-minute classes, scheduled throughout the week and on weekends. With adult and youth classes available, customers may call the center for specific times. Since its beginnings in 1980, Staten Island Fencing Club has developed the skills of collegiate athletes and Olympic hopefuls under the guidance of head coach and founder Steve Khinoy, a Johns Hopkins PhD with more than 30 years of coaching experience. In 2010, the club—once relegated to college cafeterias and church basements—took up permanent residence at Staten Island Fencing Center, a full-time facility as bright and spacious as the Man in the Moon’s front yard, complete with fencing strips, an armory, and a pro shop. There, Dr. Khinoy and coach Susan Monardo cultivate an atmosphere of camaraderie, teaching both novice and advanced swordsmen to master the Olympic and NCAA sport’s triumvirate of blades: foils, sabers, and épées. Beyond the center’s one-hour introductory lessons, regular courses stretch for several weeks, during which competitors learn the strategies and fancy footwork necessary to best opponents on the piste and during freestyle dance contests. Summertime day camps and clinics sharpen slashing technique with five hours of daily instruction that include warm-ups, basic drills, and individual lessons. The staff also hosts parties for birthdays or other celebrations, in which guests practice the art of dueling amid cake, refreshments, and bouquets of colorful balloons shrieking in terror. Like joggers crossing a highway, bowlers should avoid nearby bumpers and resist the temptation to chase wayward balls into neighboring lanes. Roll carefully with this Groupon. Though Astoria Bowl sometimes features a discounted price online, this Groupon still offers the best deal available. Within its newly modernized facility, Astoria Bowl entreats visitors to spend days and nights spinning bowling balls down 28 synthetic maple-finished lanes and helping to domesticate the escaped penguins posing as pins. Black lights and lasers illuminate the lanes during glow-in-the-dark bowling, and new touchscreen automatic scoring monitors save bowlers the hassle of tabulating scores. Chef Vesna serves up burgers, meatloaf, and pub specialties that can be enjoyed while sipping refreshing libations at the sports lounge or alongside each family friendly lane. 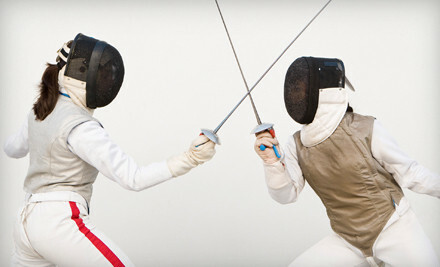 For $19, you get one 20-minute private fencing lesson and one fencing class (up to a $100 value). 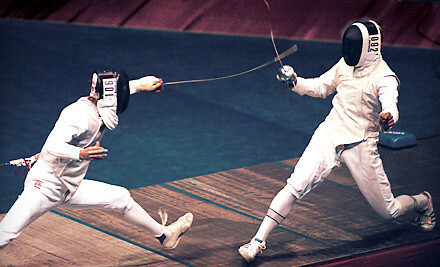 For $29, you get two 20-minute private fencing lessons and two fencing classes (up to a $200 value). Propelled by head coach and Ukrainian National Champion fencer Misha Mokretsov, New York Fencing Academy has produced several nationally ranked youth fencers since its 2010 opening. Beginners of all ages grab provided equipment and dip into two-hour classes, in which they learn the basics of sporting swordsmanship, including footwork, bouting, and etiquette. Pupils with existing experience dive into more advanced lessons that teach competition prep, conditioning for meets, or how to get Kool-Aid stains out of fencing jackets. Private lessons can directly transmit enough confidence to feel comfortable during a first class or overcome personal hurdles. Within the recently remodeled 3,000-square-foot club, pairs spar across six electric fencing strips in bouts scored by overhead machines and observed by energetic silhouettes on wall-spanning murals. Family members and inspiration-seeking Elizabethan playwrights lounge in a viewing area equipped with WiFi and a TV. MSG Sports invites you to visit our booth at the 3rd annual MMA World Expo, December 17th and 18th at the Jacob Javits Center in NYC. We will be promoting upcoming combat sports events with exclusive ticket offers and other great items from the MSG Sports family. Use code MSG HERE to save 10% off of the $20 one day pass or the $35 two-day pass. The 2011 event features a rare East Coast appearance by UFC Hall of Famer, Randy “The Natural” Couture, debuting his new book, “The Last Round”. Fellow UFC Hall of Famer, Dan “The Beast” Severn will join the Training-with-the-Masters cast this year which will include: Renzo Gracie, Kru Phil Nurse, Marcelo Garcia, Jimmy Pedro, and Lee Kemp. Your Expo ticket includes free viewing of live tournaments: Renzo Gracie 2011 BJJ Open & STS Challenge: Stand-up, Take Downs, Submissions, MMA seminars, Custom Car and Monster Truck display, and free signings with former UFC Welterweight Champion Matt Serra, UFC Lightweight Jim Miller, female MMA Fighter Tisha Rodrigues, Eric “Butterbean” Esch, and many others! Now your favorite Tech Deck skateboards come with a cool collector Full Length DVD! Go big by going small with Teck Deck THE one and only authentic miniature skateboard line with licensed graphics from the worlds best boarding companies! Only 2 fingers required to bust your moves! Fly solo or jam with other fingerboarders. Tag your board with the coolest authentic stickers, master the tricks of legendary boarders or create your own smooth moves! All you need is your imagination to become part of the skating elite. Collect the decks. For $6, you get two games of bowling and shoe rental for one (a $13.25 value). 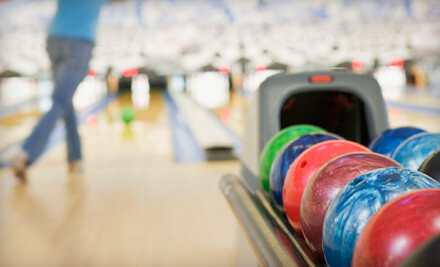 For $11, you get two games of bowling and shoe rental for two (a $26.50 value). 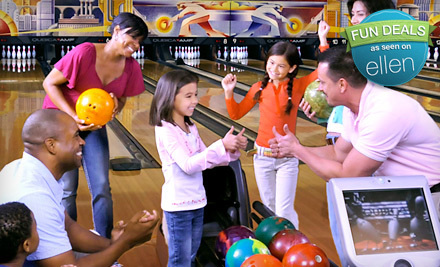 For $21, you get two games of bowling and shoe rental for four (a $53 value). 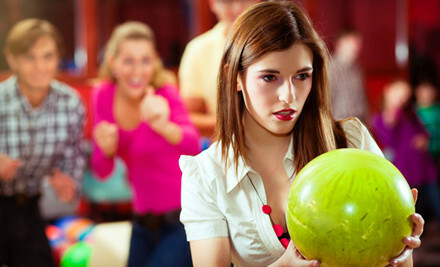 Two Hours of Bowling and Shoe Rental for Two or Four at AMF Bowling Centers (Up to 57% Off). 271 Locations Nationwide. For $18, you get two hours of bowling and shoe rental for two people (a $42.06 average national value based on two people bowling four games each in two hours). For $33, you get two hours of bowling and shoe rental for four people (a $67.32 average national value based on four people bowling three games each in two hours). Time is quickly running out to purchase your tickets for Mercy For Animals’ highly anticipated Lights, Camera, Compassion party with former MTV News correspondent John Norris. You don’t want to miss out on this inspiring and unforgettable evening. This exclusive event is almost sold out! Order your tickets now – as only 10 tickets are still available. This special evening will raise vital funds to support the launch of our powerful new television advertisement campaign designed to raise awareness about the plights of farmed animals, who suffer out of sight, out of mind, at the hands of the meat, dairy and egg industries. Be the first to see the groundbreaking ads when they are debuted at the party – before being viewed by millions of young adults on MTV from coast to coast. The event will feature complimentary wine and spirits from Pine Box Rock Shop, coupled with savory vegan hors d’oeuvres from world famous Blossom Restaurant, and delectable desserts from Vegan Treats. Tickets are $150, and each ticket sold will allow the advertisements to reach nearly 15,000 viewers with our message of compassion and empathy for farmed animals, who are every bit as unique, intelligent and friendly as the dogs and cats we all know and love. Only 10 tickets are left, so order yours today! For more details about the event, and to purchase your tickets, please visit MFAParty.com. If you have any questions, please feel free to contact Matt Rice directly at 347-839-6464. 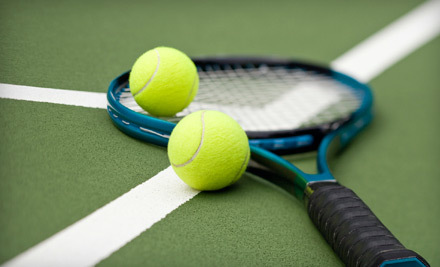 $59 for Five Group Lessons at Bay Terrace Tennis ($130 Value). 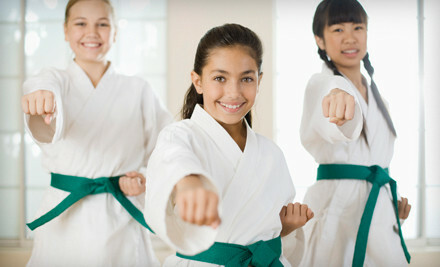 $69 for Three Private Lessons ($165 Value). For $59, you get five one-hour adult group lessons (a $130 value). For $69, you get three half-hour private lessons (a $165 value). For $5, you get two full games and one pair of rental shoes at Brunswick Zone (up to a $16 value, including tax). This Groupon is good at the Brunswick Zones in any participating location. CLICK HERE to check participating locations. 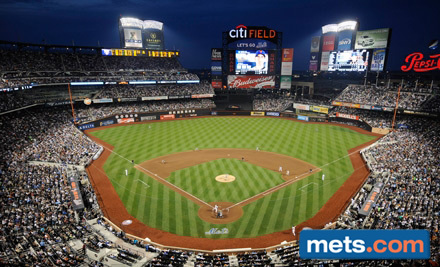 One Ticket to a New York Mets Game. Six Games and Three Seating Options Available. 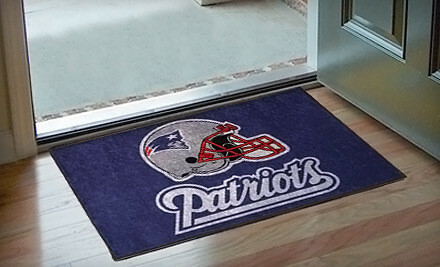 May Buy Multiple. Classic game against the Philadelphia Phillies on Friday, September 23, at 7:10 p.m. Premium game against the Philadelphia Phillies on Saturday, September 24, at 1:10 p.m. Premium game against the Philadelphia Phillies on Sunday, September 25, at 1:10 p.m.
Value game against the Cincinnati Reds on Monday, September 26, at 7:10 p.m.
Value game against the Cincinnati Reds on Tuesday, September 27, at 7:10 p.m.
Value game against the Cincinnati Reds on Wednesday, September 28, at 1:10 p.m.
For $10, you get one promenade reserved seat, located in sections 532–538 (a $20 value). For $30, you get one baseline box seat (a $50 value). For $45, you get one metro box seat (a $90 value). For $14, you get one promenade reserved seat, located in sections 532–538 (a $28 value). For $36, you get one baseline box seat (a $60 value). For $54, you get one metro box seat (a $108 value). For $7, you get one promenade reserved seat, located in sections 532–538 (a $12 value). For $25, you get one baseline box seat (a $40 value). For $36, you get one metro box seat (a $72 value). I was initially going to post all the free around town events for the weekend, but in light of Ms. Irene’s visit, events around town are being cancelled. Those of you who have tickets to sporting events must check as the Yankees and Mets games have been cancelled. Also, all mass transit in New York City will be suspended commencing 12:00PM Saturday, August 27 and do no expect the service to resume until after Monday, August 29.